Every few months we roundup the latest social media features to be released by our five favorite networks (Facebook, Pinterest, Instagram, Twitter & Snapchat). The following updates are a roundup from November to December 2017. Keep checking back for the latest news! They’ve also released the dynamic Friends page, which displays your friends based on the way you communicate with them (basically the more you speak to one person, the higher they appear on your list). And the Discover page to the right of the camera includes Stories from publishers, creators, and the community. It’s personalized using an algorithm that learns what kind of content you want to see based on your previous interactions. Okay, this one is a little different, but it may be a game-changer when it comes to the future use of Snapcodes. 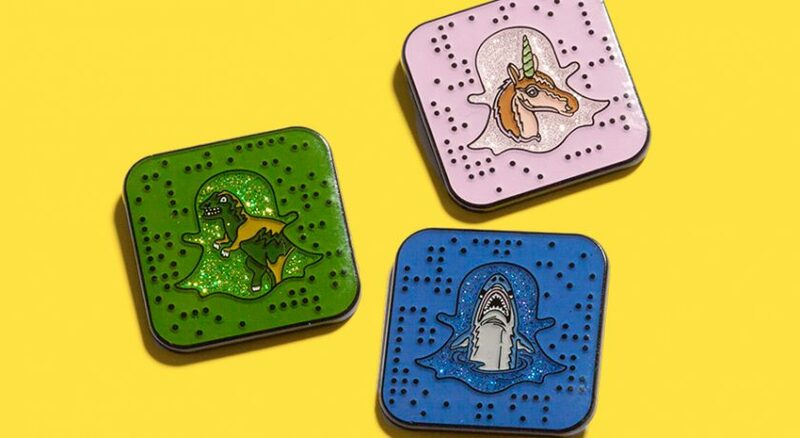 For the holiday season Snap and luxury brand Coach have teamed up to release a limited-edition set of Coach pins equipped with Snapcodes. Built on top of their October released Context Cards, Snapchat is hoping to monetize the features with advertiser tools. Advertisers who purchase lenses and filters that overlay graphics on top of Snaps can attach a context card to their campaigns for free that links to a website. Not too many updates from the Twitterverse but this one is sure to please some of its users. Bookmarks will allow you to save tweets to read later. Bookmarks that have been saved can then be accessed via your profile page, where you also access any Lists and Moments. The feature is currently being tested and should be released soon. Facebook’s rolling out a new program which will connect mentors and mentees, in order to help further causes. The mentee and mentor are matched by a nonprofit partner organization and work through a step-by-step program on Facebook. 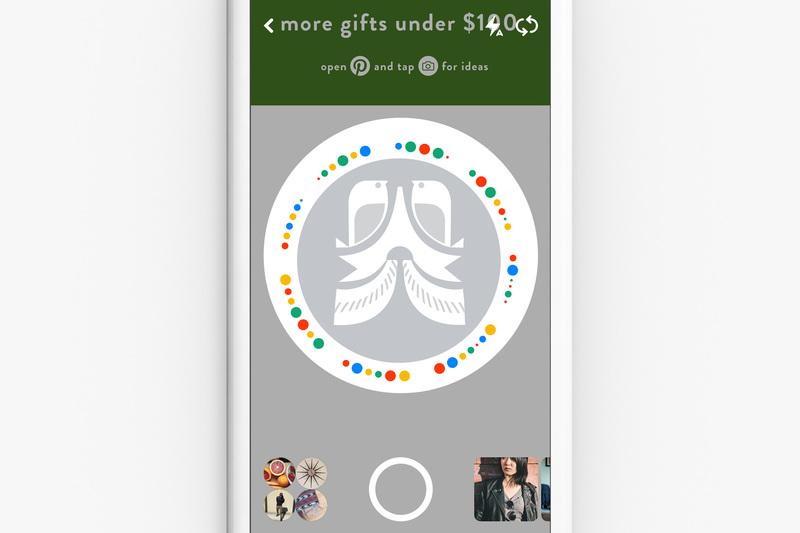 With the new Fundraisers API people will be able to sync their off-Facebook fundraising efforts to Facebook fundraisers, making it easier to tell friends and family about the causes they support. Boost engagement with this fun new feature! 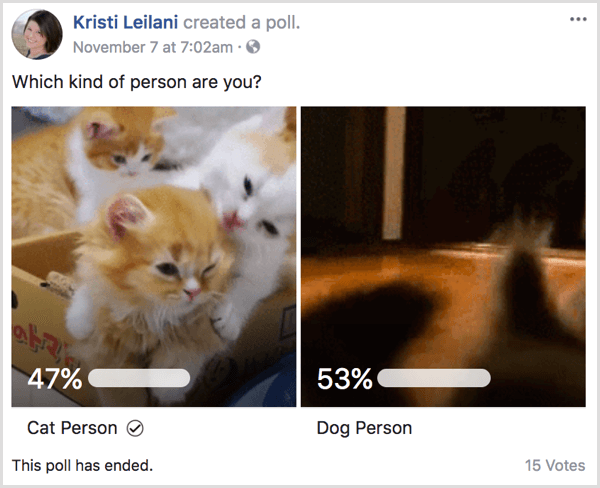 You can now use animated gifs in polls. Check out this great example from Kristi Leilani on Social Media Examiner. Discovering events happening in your area has always been one of the best features of Facebook Events. Now they have launched a new app, Facebook Local, dedicated entirely to finding local events, and restaurants. Facebook recently announced the launch of its messenger plugin for business websites. 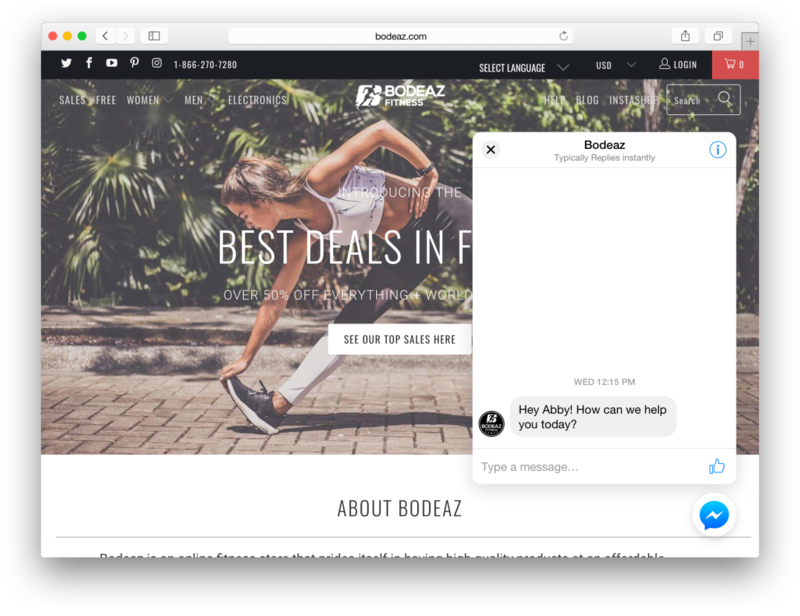 This new feature will allow customers to talk directly with businesses on their websites using Messenger, and continue those conversations across web, mobile and tablet devices. Facebook recently launched Facebook Creator, an app designed to help influencers build their video community. This tool will provide influencers with a Live Creative Kit for adding intros and outros to broadcasts, a unified inbox of Facebook and Instagram comments plus Messenger chats, cross-posting to Twitter, and expansive analytics. The Messenger Kids app enables users under the age of 13 to communicate with friends online. Parents will need to approve any contacts on Messenger Kids – no one can be added to their child’s contact list without parents approval. Kids will not have their own Facebook account – it is just a messenger app run through the parents account. 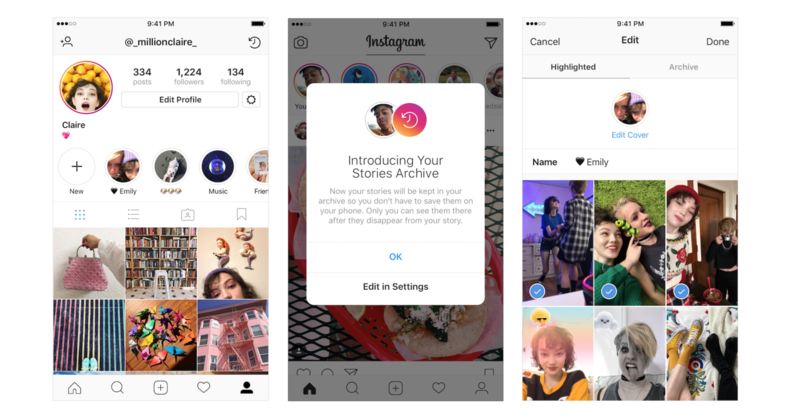 According to The Verge, Instagram is testing a standalone app for private messages called ‘Direct’. This would remove the messaging feature from the core app, like Facebook Messenger. Direct, which opens to the camera, is available on Android and iOS in six countries: Chile, Israel, Italy, Portugal, Turkey, and Uruguay. 1M Pins are shared to Facebook Messenger each week. To make it easier for Pinners to collaborate with others they launched a Facebook Messenger chat extension and bot. 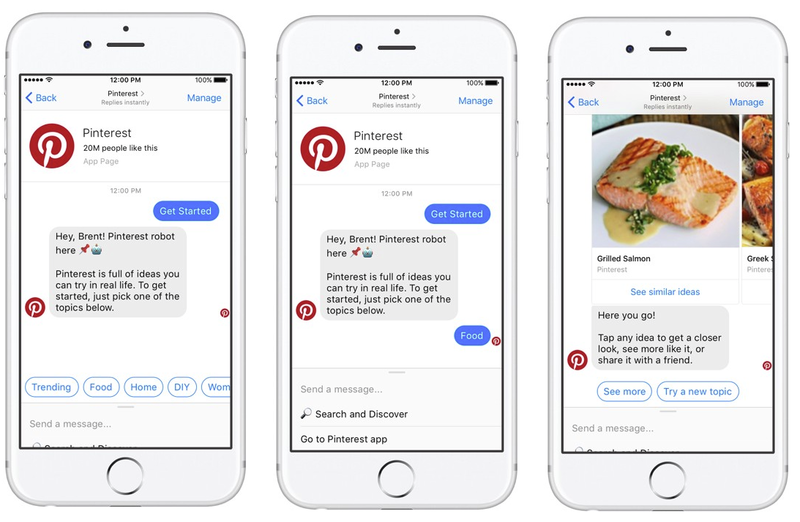 The Pinterest bot will enable users to search Pinterest without leaving Messenger. You will be able to start a conversation with the bot and be given a range of one-tap search options, based on Pinterest’s most popular categories, or you can conduct your own search in-stream. When you’re out shopping at your favorite store, or flipping through a magazine, you’re going to start to see Pinterest Pincodes. Just pull out your Pinterest camera and scan any Pincode to see curated ideas on Pinterest inspired by what you’re looking at in the real world. 2. Tap your Pinterest camera (up next to the Search bar).